Powerful, twin-motor wet & dry vacuum for professional applications. Featuring the Ap semi-automatic filter clean system for constant high suction power. 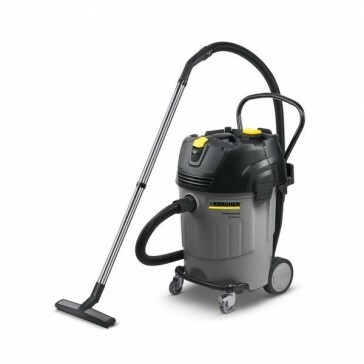 The NT 65/2 Ap is a high-performance, twin motor multi-purpose wet and dry vacuum specially designed for professional use. The flat pleated filter is efficiently self-cleaned by blasts of air for virtually constant suction power. Ideal for the building trade, agriculture, automotive and food industries. The NT 65/2 Ap features an automatic shutdown system which stops the motors when maximum capacity is reached, a drainage hose for convenient liquid disposal and Kärcher’s ApClean semi-automatic filter cleaning system. Additional features like the adjustable push handle, high mobility and robustness complete this professional vacuum cleaner.